Vorsprung durch Technik. “Progress through technology”. It’s been Audi’s tagline and ethos since the 1970s and – like all good advertising slogans – has morphed into a societal meme that has been referenced in popular culture time and again. 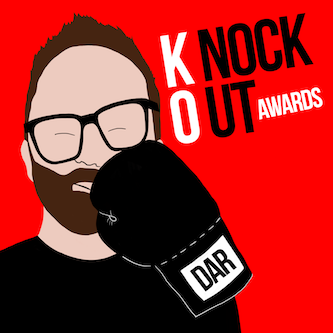 These three words have been deployed by countless stand-up comedians keen to re-enforce the racial stereotype that Germans are a super-efficient, super-punctual race with a keen eye for exactitude. For the most part, the jibe is a friendly one with no malice intended. 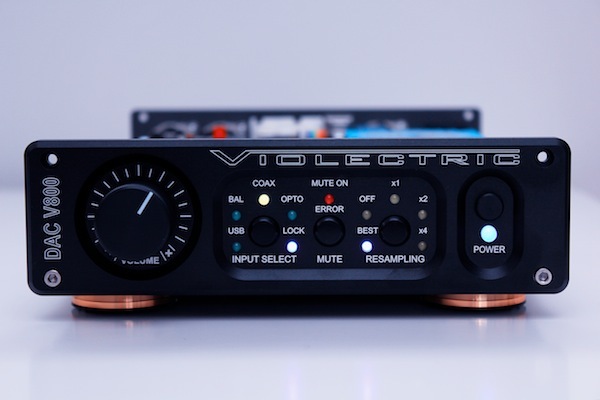 (Australians are often the first to point out affectionately that British people like a whinge and a drink).Violectric is Lake People’s domestic hifi sub-brand through which they bring to bear their pro-audio design reputation on a range of headphone amplifiers, a phono re-amp and a DAC, the Violectric V800 (AU$1249); all of which are designed and made in Germany. It’s tough to argue with the Germans’ thoroughness of documentation or the immaculate nature of their (industrial) design. 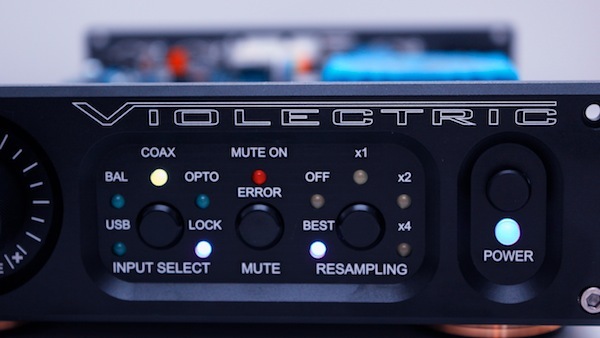 The Violectric brand can run – but not hide – from its pro-audio roots. Build quality on the V800 is seriously impressive – the casework feels rock solid and switches/pots have an all-too-UNcommon masterful control. Vorsprung Durch Technik, indeed. Rear-connectivity options are excellent and on par with the best at the price point. 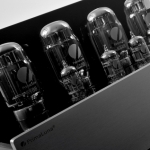 Inputs are all 24/192 capable – coaxial, optical and AES/EBU – except the 24/96 USB. 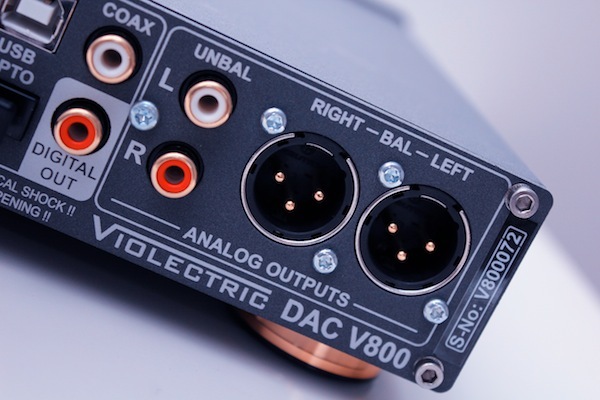 Balanced and single-ended outputs are met with the addition of a digital output (coaxial). Signal lock is swift and reliable and indicated with a simple, front-facing LED. Switching between redbook and hi-res FLACs of Talking Heads remasters brought with it no audible “click” as occurs with the Peachtree iDecco and (terrible signal lock re-adjustment on) the TeraDak Chameleon. 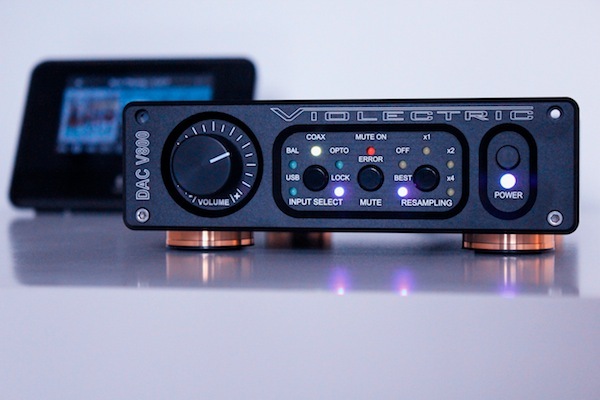 Curiously, Violectric have opted for digital domain volume attenuation. Warum? Ich weiss nicht. Maybe Lake People were seeking to eliminate the impurities of analogue adjustment – no more volume pot snap, crackle and pop or channel cross-talk – but digital volume attenuation is destructive beyond a certain point and digital audiophiles are usually the first to point this out. Guilty as charged. 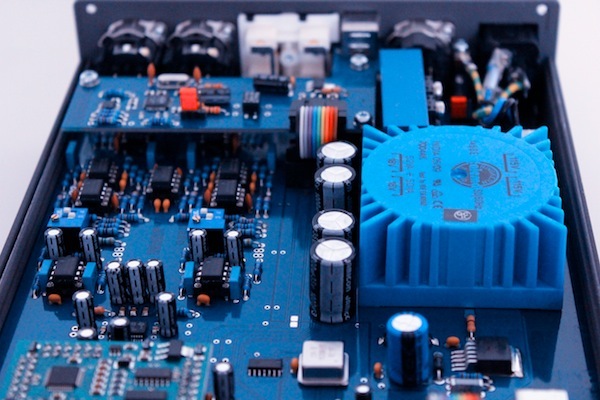 It is recommended that you run the unit at full volume to avoid bit-loss. 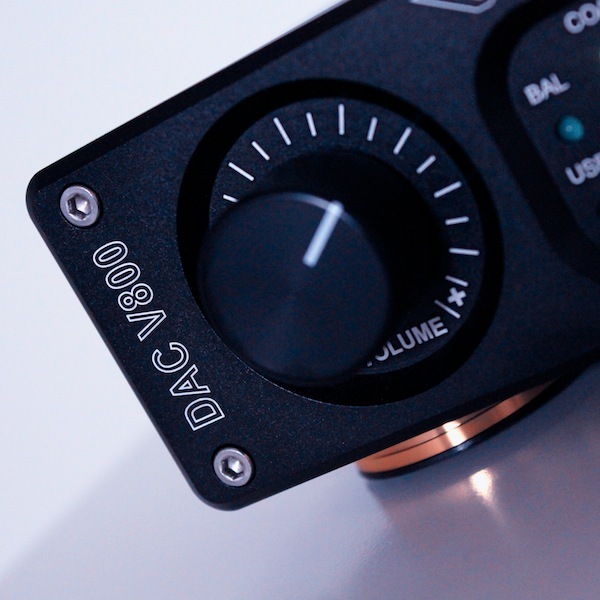 Even with volume pushed to the max, the factory gain settings on the V800 render its analogue output quieter than most other DACs. Worry not: the maximum gain of the V800 can be nudged up and down via internal jumpers and it only took this reviewer twenty minutes (and a fair amount of patience) to pop the top section of the case and click up the db gain. After 150 hours of burn in, it seemed appropriate that I should enter into the spirit of the device’s provenance. Running through Kraftwerk’s impeccably recorded Minimum Maximum live album, the V800 presents as open, clean and utterly transparent. Moving over to Jonsi’s debut album Go and things remain detailed…but matter-of-fact detailed. Acoustic guitar note precision is lit up from within with fluorescent light – an experience that recalls a late night visit to a 7-11. Everything in its right place. Great for electronic music but some might find the dialled back humanity tough to swallow during a day-long aural degustation. Tube amplification might help here. The Violectric was then fed into the (analogue) auxillary input of a Peachtree iDecco and switched in and out over a couple of weeks. The iDecco’s internal DAC has a squishier, warmer (but no less detailed) presentation. But that’s with the tube engaged. Peachtree transient bite begins to approach the Violectric with a flick of the iDecco remote, removing the 6N1P from the signal path. The V800 teases out detail from a drier palette. 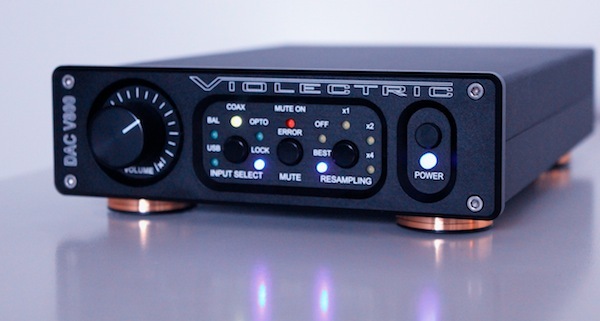 On the balanced output front, the Violectric’s closest similarly-priced rival might be the Balanced Havana (AU$1380). Running both into a Xindak XA6200 (balanced, of course), the Havana lent towards deeper, darker richer tones. The V800 was brighter and more alert. If we consider tonal density as body type, the Havana just is endomorphic – plenty of meat on the bone – whereas the V800 is closer to the clean skin and bone of an ectomorph. There’s no tube in the German box – that’d be way too French(read: romantic). Instead we note 1x, 2x, 3x and “best” switchable resampling settings – solid state all the way. 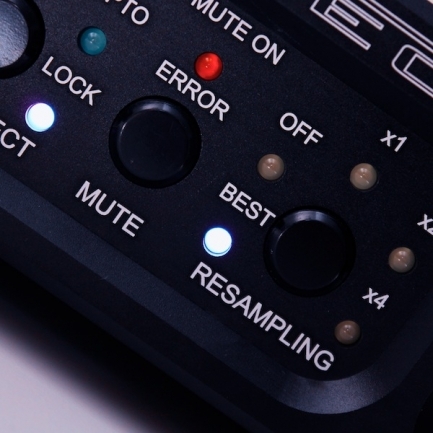 Re-sampling can also be switched to “off”. Let’s hook in some Sennheiser HD650 and ask Morrissey: “What Difference Does It Make?”. Hatful Of Hollow might be an album of Thatcher’s Britain, of lo-fi indie, but there’s tape hiss and Johnny Marr guitar swing that challenges any DAC’s ability to resolve or ignore. Introducing incremental notches of re-sampling is a double-edge sword: greater smoothness to the tape hiss but diminished transient bite in Marr’s guitars. A polished gem is often not as enchanting as its raw, mined state. Errors and flaws bring character. Team Violectric have unwittingly succumbed to German (cough) cultural stereotypes with a DAC that’s long on build quality with a sonic precision that lacks meat on its bones. Moreover, in the broader context of the competition, the V800 falls between two stools: it lacks the bells and whistles of nearest rivals in the delta-sigma camp – for the same money, the Peachtree iDecco comes with an inbuilt integrated amplifier and it’s short on that je-ne-sais-quoi of NOS implementations. At times, listening to music via the V800 was crisp in tone but at the same time being aware that the mental movie (painted in sound) comprises a series of still pictures. It’s worth emphasising that’s there’s nothing wrong with the overall presentation of this DAC. It’s neat and tidy: no midrange glare or over-cooked bass here. Sonics are even and “right” but those with a lust for colour will remain unsated; it’s just not that kind of guy. It’s a conservative dresser: polo shirt tucked into beige chinos. It’s twenty-three pushing forty. Whichever way you string it, there’s a slightly superior option elsewhere, sometimes for a diminished wallet hit. 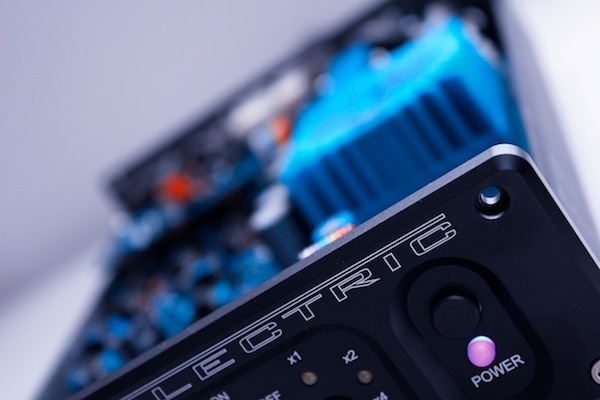 In short, the Violectric V800’s rivals are either cheaper or better specified. In a few select cases, said competition’s sound possesses greater resolution and superior musical poise. However, if you’re looking for a sound that’s unashamedly unromantic, of dry humour, straight spoken and tight – where bass tightness translates to bass leanness – then you might just find the Violectric V800 ticks your boxes. Das ist ein groovy beat, ja? Sorry but I just stumbled over the review, I own the Violectric almost two years. 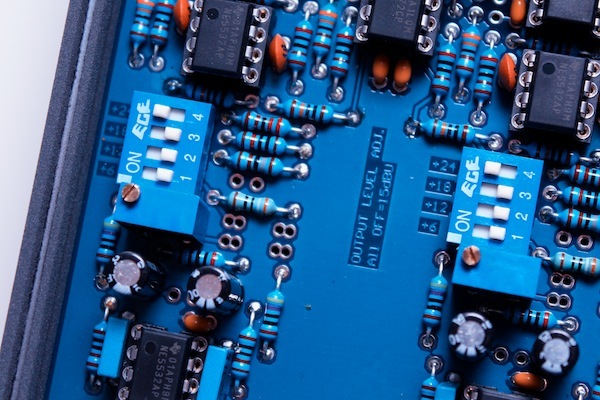 One thing is true he just extracts the truth of the data, he is not flatting the music, and this can be exhausting, but only if the stuff that follws the DAC (amp and speakers) is not that same class as the DAC itself. Sorry to say but I am listing to classical music a lot and I am very content with the dac. Thanks HS. It just goes to show how people have different tastes.